Who knew over 50 varieties of pumpkins existed? 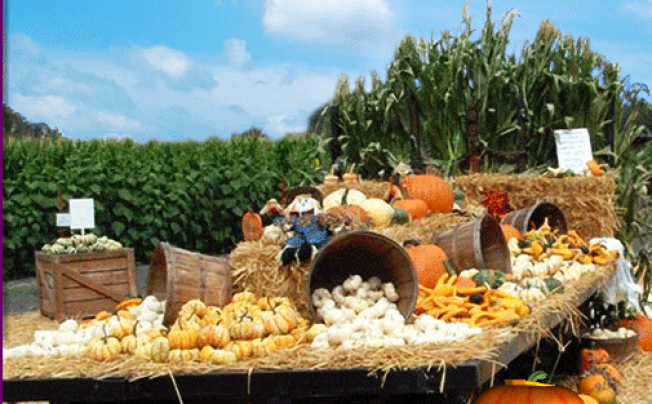 Petaluma Pumpkin Patch actually has over 50 varieties of pumpkins, squash, and gourds. In addition to that, they have a 4-acre corn maze, straw bales for climbing, farm animals, a zip line, weekend pony rides, face painting, inflatables, food, and of course a bake sale! Kettle corn, trip tip, hot dogs, coffee, and pumpkin pie will all be sold at this pumpkin patch!